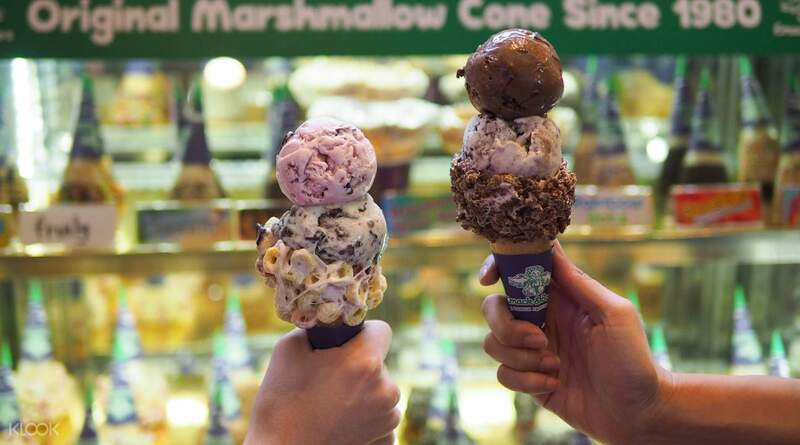 Top off a hearty lunch in town with delectable ice cream treats from Emack & Bolio's in Siam Center or EmQuartier! Book your vouchers now and get exclusive discounts and deals from the Klook today! 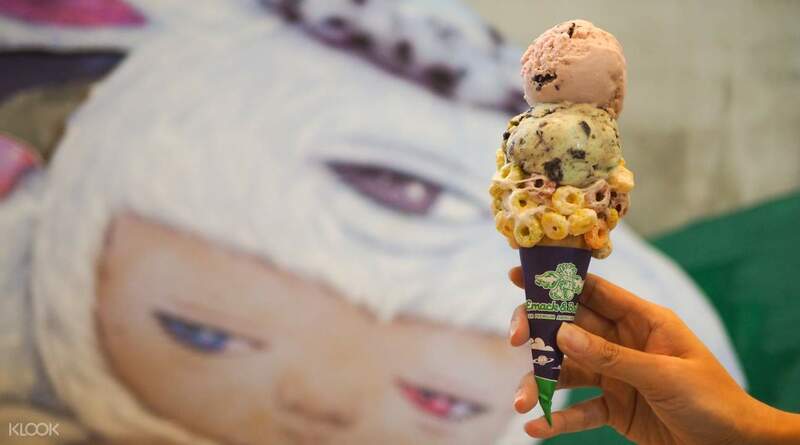 The original hippie ice cream company has now landed in Bangkok! 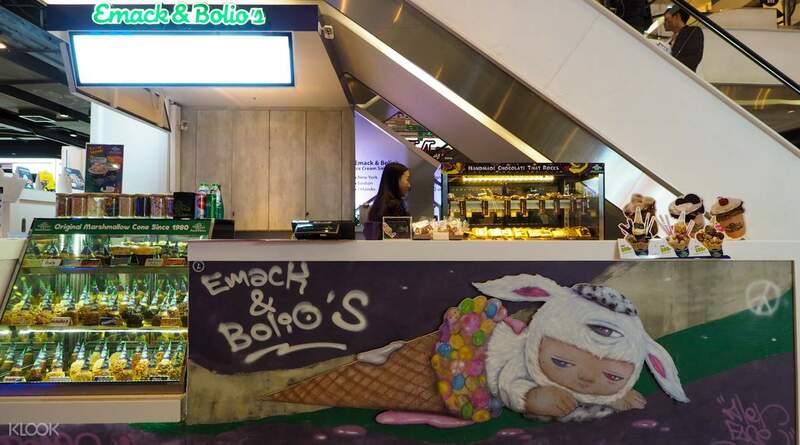 From Boston, Massachusetts, Emack & Bolio's unique ice cream confections are now available in their famous kiosk in the ever-vibrant Siam Center, EmQuartier, and ICONSIAM malls. 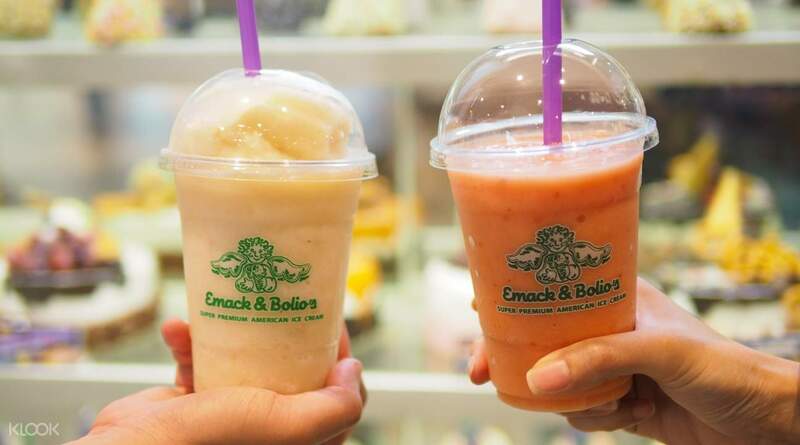 Satisfy your sweetest cravings with Emack & Bolio's premium ice cream made with the freshest organic milk and top-notch ingredients. Indulge in a wide variety of flavors with names so creative, they will resonate with you to go back for another scoop: Grasshopper Pie (Mint Ice Cream with Choc Chip and Oreo), Deep Purple (Black Raspberry with Dark and White Choc Chip), Chocolate Addiction (Chocolate with Chocolate Chips and Fudge Chunks), Cookie Monster (Vanilla, Oreos, and Cookie Dough), and more. Don't miss out on their creamy yoghurt smoothies or their signature Marshmallow Cone with delectable ice cream flavors of your choice. Book your vouchers now and enjoy discounts on Ice Cream and Smoothies today! Simple to redeem the voucher! Just add it to your shopping cart and they will email it to you or add it to your account soon after you check out. So can use it almost immediately. Do note that it's only applicable to 2 outlets, the one at IconSiam is not included. Simple to redeem the voucher! Just add it to your shopping cart and they will email it to you or add it to your account soon after you check out. So can use it almost immediately. Do note that it's only applicable to 2 outlets, the one at IconSiam is not included. really yummy place to eat! cant wait to go back to the Mango Garden. Refreshing after walking around the mall and splurging some in sephora. really yummy place to eat! cant wait to go back to the Mango Garden. Refreshing after walking around the mall and splurging some in sephora. Staff didn't know much about the promo. And before even verifying or anything, they immediately scooped and handed me the cone with one scoop of ice cream. So I had to wait a few minutes while the girl called someone else on the phone then looked for a card on how to key in the promo. In the meantime, the first scoop of ice cream was already starting to melt and then I had to hand her back the cone for her to add another scoop on top. Staff didn't know much about the promo. And before even verifying or anything, they immediately scooped and handed me the cone with one scoop of ice cream. So I had to wait a few minutes while the girl called someone else on the phone then looked for a card on how to key in the promo. 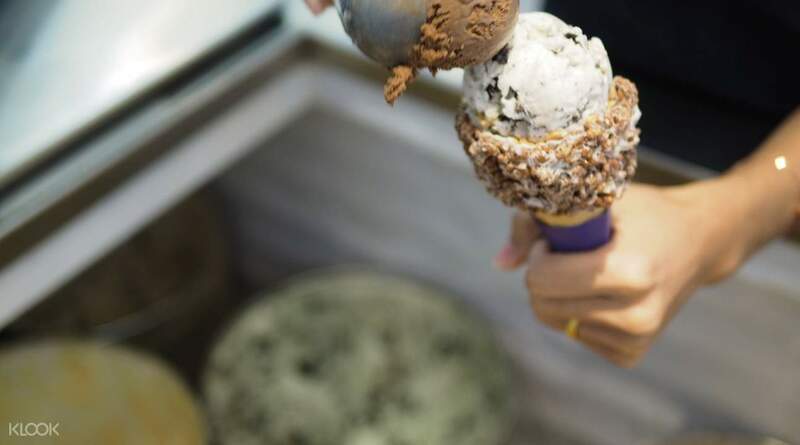 In the meantime, the first scoop of ice cream was already starting to melt and then I had to hand her back the cone for her to add another scoop on top. 5 stars ice cream. really enjoy the taste. mekes my daughters want more and more. 5 stars ice cream. really enjoy the taste. mekes my daughters want more and more. The ice cream is a must to try especially the hot weather. Place was easy to locate. The ice cream is a must to try especially the hot weather. Place was easy to locate.